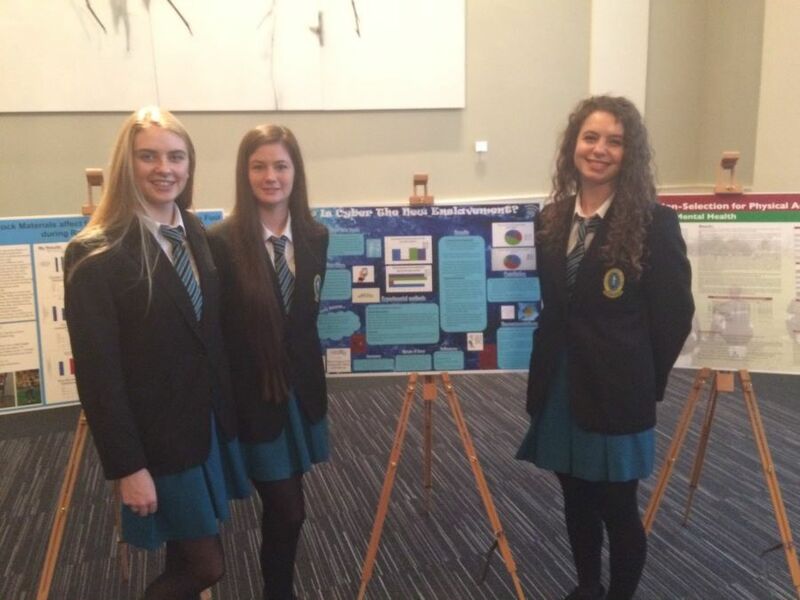 Amy Byrne, Conagh Fitzgerald and Maggie Nolan display their winning entry in the National Concert Hall. Ronan McElligott and Dylan Savage display their winning entry. 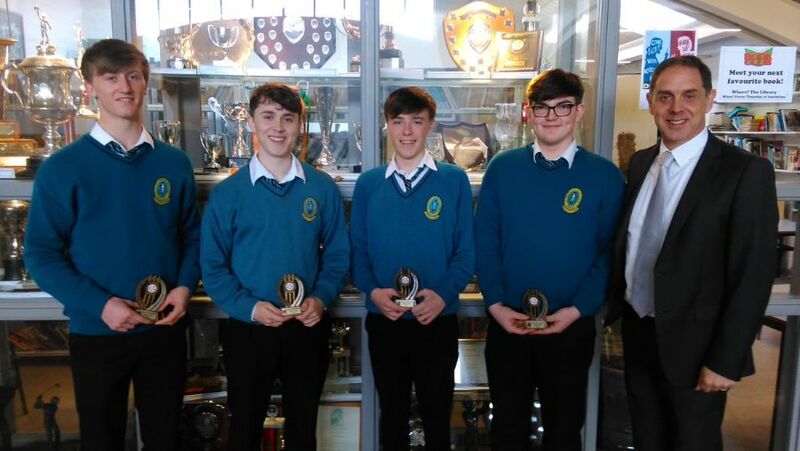 Senior Maths Quiz winners: Eoghan O Buachalla,Odhran Liston, Evan O Connor and David Broderick along with Mr Fleming who presented the prizes. 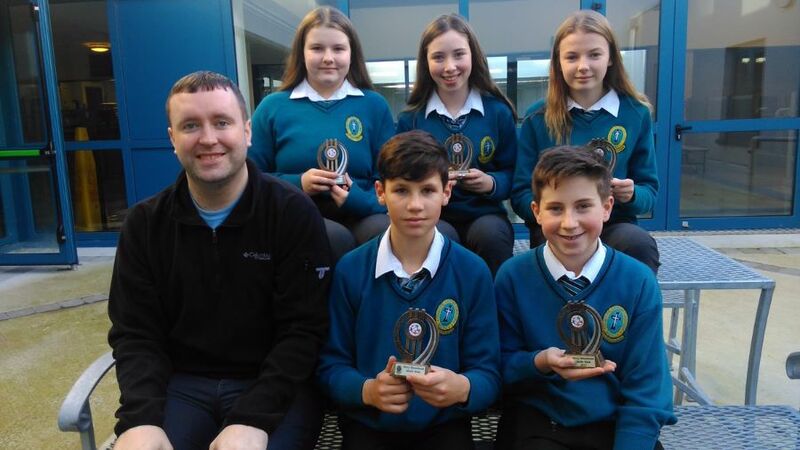 Second Year Maths Quiz winners: With teacher 2nd year maths Mr Culloty were Darragh Murphy,Conor Bradshaw,Izabela Gacez,Caoimhe Leahy and Lauren Clifford. Last October Lauren O Grady, Rachel Bowler, Nessa McGarty received the top prize in the C.S.O. competition for their work on statistics. 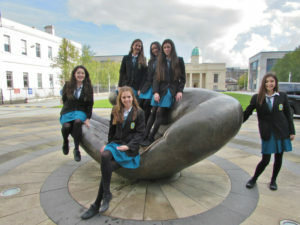 They were chosen as winners in this prestigious competition which saw over 300 entries nationally. 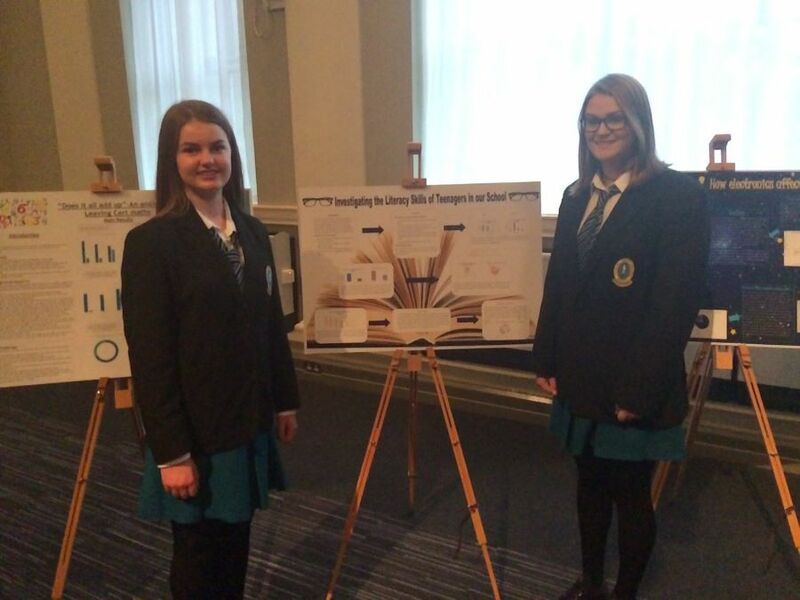 Their project was titled: @The Early Birth Catches the worm”. 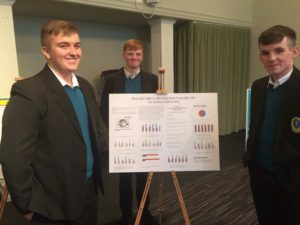 Their statistical analysis concluded that: “Being born in the first half of the year has a significant effect on how successful you are in the areas of GAA and Athletics”.Another of our teams: Gerard Tansley, Colin McDaid, Hugo Wells received a merit award, one of only 13 merits nationally. Their project was about overfishing and its effect on our oceans our. Our two teams who achieved merits in the Hohn hooper Medal for Statistics competition 2015 at the department of Education and Science in Dublin. Out of 400 entries nationally both of our teams placed in the top 15. 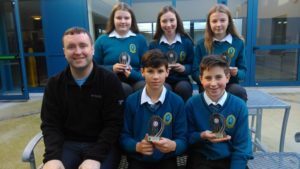 Team Math competition has been a long-running activity of the Irish Maths Teachers’ Association, with local rounds for many years and local and National Finals since 2005. Team Math is a table quiz for teams of up to 4 students from Leaving Cert year, with questions based on the leaving cert higher level syllabus. Regional Rounds were held on the evening of Friday January 31, 2014. Mercy Mounthawk had 2 teams representing the school on the night and claimed both 1st and 2nd place. The winning team members were Aine Daly, Michael Grimes Donal Mullins and Liam Gannon. 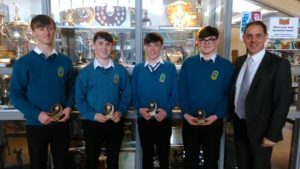 The runner up team included Dylan Sheehy,Cormac Leen, Conor O Mahony and Brendan O Connor. 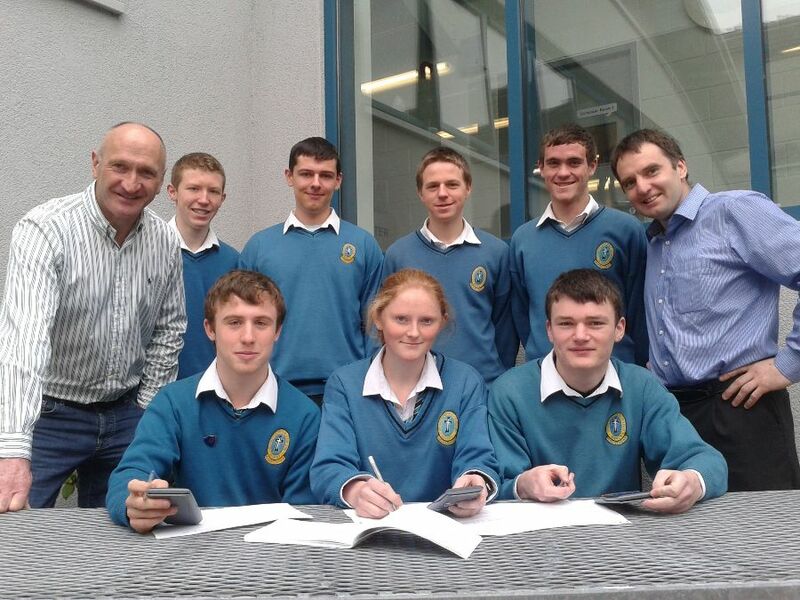 The winning team went forward to the National final which was held in NUI Galway on Saturday March 8, 2014. The team did brilliantly finishing joint second. Early Intervention is the key to confidence and skill in mathematics. The main new initiative for this past academic year involved all first years completing a maths quiz during maths week in October. 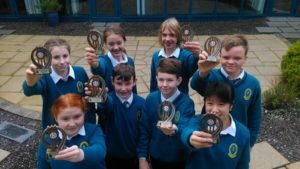 From this quiz, the top students from each class were identified and this 40 or so pupils attended a lunchtime class once per week to be made familiar with and tackle question types similar to those designed for the Irish Maths Teachers Association(IMTA) problem solving quizzes. These lunchtime classes were followed and bolstered by 12 online problems each week, posted on a dedicated Google Classroom page with the answers being provided by Mr. Mulligan a week later. This initiative continued from November until March. During March there were more lunchtime classes provided for the students so that they could practice for the Kerry final of the IMTA quiz. For 2018 – 2019 it is envisaged that this initiative with the same group will continue into 2nd year and that it would be advantageous to have the new 1st years start a month or so earlier. 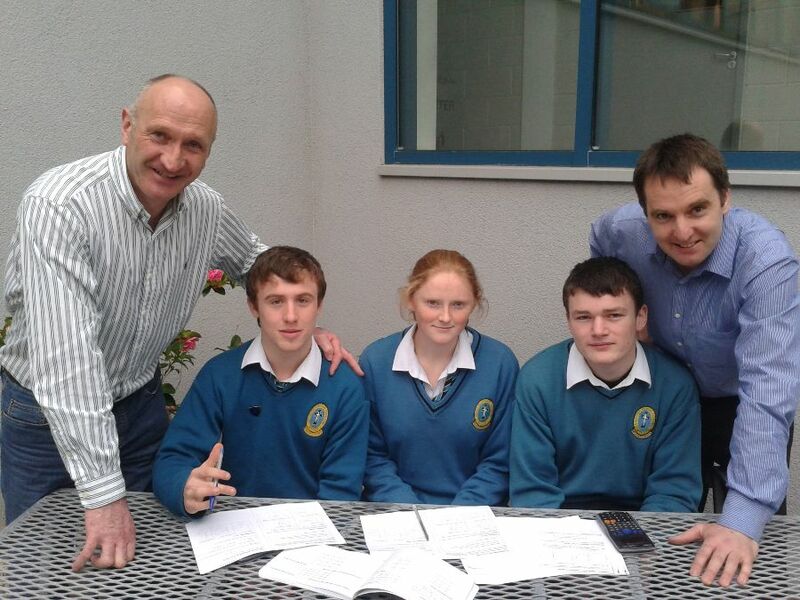 Extra academic mathematics classes continued this year for Transition Years with the extra time spent on calculus being of benefit to the students going forward into 5th year. 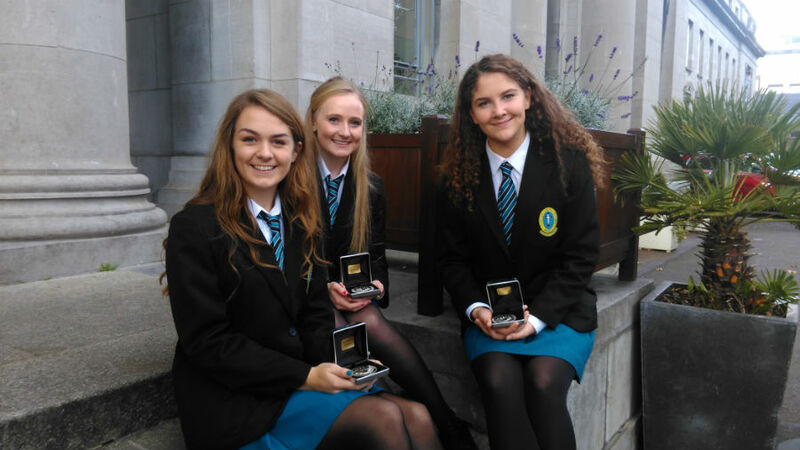 During 2017 – 2018 all Transition Years endeavoured to take part in the CSO John Hooper Medal for Statistics competition as it was part of the regular T.Y. mathematics curriculum. All Maths students in T.Y. studied the Leaving Certificate statistics course and applied what they learned to the design and analysis of a survey of their choice. In October we had seven students with three projects win awards in the CSO John Hooper Medal for Statistics Competition, a great achievement, especially considering there are only 15 projects chosen for awards out of over 300 entries nationally. Maths week involved quizzes for all year groups and a mathematics themed poster competition for first years. Over 900 students took part in the various competitions that were held. Students in the Junior Certificate and Leaving Certificate classes were offered a second mock exam which fine-tuned their preparations for the state exams in summer. Extra classes were also offered to the students in 3rd and 6th years. In first year classes we have introduced an extra Maths enhancement period each week. This extra class is not taken by the students’ normal class teacher so as to allow time to step back from the day-to-day curriculum progression and instead to focus on numeracy skills and the promotion of a positive attitude towards Maths. Over the last 3 years teacher in Mounthawk have been involved in the Learning Schools Project. This allowed for the development of skills and resources to actively engage with the needs of students. An example of the detailed work carried out by one of the teacher teams can be seen here.